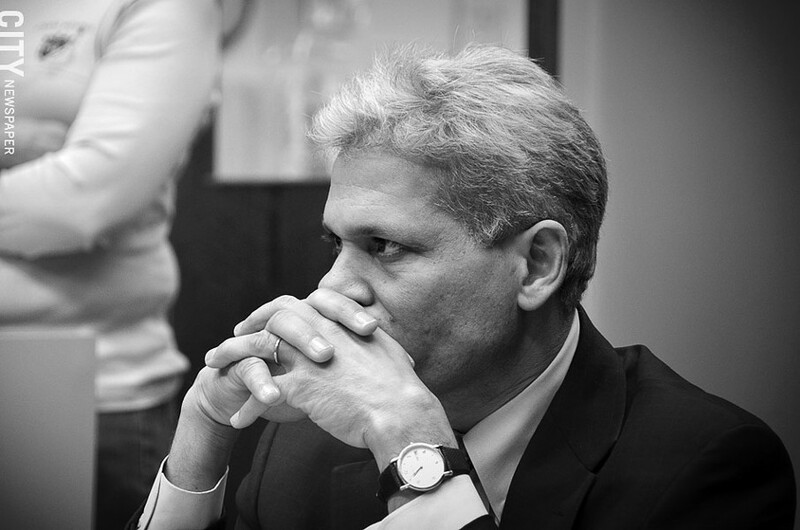 PHOTO BY MATT DETURCK Bolgen Vargas: Rochester's schools chief seeks stability as enrollment drops and test scores lag. Rochester schools Superintendent Bolgen Vargas says he's making progress in improving city schools, and results are coming. But he faces some serious problems that he says could roll everything backward: open resistance from the administrators union and several changes among top administrators in central office. Vargas is at a key point in his tenure with the district. He's no longer the new guy, able to avoid criticism for the policies of previous superintendents. And he's reached that time when parents, teachers, and community leaders grow impatient for tangible results in the form of higher test scores and graduation rates. It's also a time when many superintendents in urban school districts buckle under the pressure and bail. Vargas knows all of this, and he says he's going nowhere. And he has begun to push back at a problem he says is blocking progress: a union contract that limits the way he manages school administrators. Vargas made a not-so-subtle reference to that problem in his recent State of the Schools presentation. He showed a slide picturing a bullish-looking elephant blocking a school hallway, with the inscription: "There is an elephant in the room!" A newspaper headline across the bottom of the image referred to the vote of no confidence against him by ASAR – the Association of Supervisors and Administrators of Rochester – the union representing principals and other school administrators and some central office administrators. The message that his progress at improving the district was being blocked by managerial conflicts couldn't have been clearer. Many of the district's most entrenched problems, Vargas says, can be resolved with greater cooperation at the administrative level. He acknowledges that he's made some mistakes, such as the clumsy way Armando Ramirez, the former Monroe High School principal, learned that he would not have that position when school opens in the fall. Ramirez found out about Vargas's decision by reading a school board agenda posted on the district's website. "The mistake was mine," Vargas says. "I've apologized for that many times." But despite the error in informing Ramirez, Vargas believed that Ramirez needed to be moved to another school. He needs to be able to make decisions like that, he says. He is expected to dramatically improve student achievement, he says, and to do that, he needs the ability to make key personnel decisions. The current ASAR contract isn't flexible enough to manage urban schools in the 21st century, he says. Vargas uses a baseball metaphor to describe the problem. How would a sports team ever win a game, he asks, if its manager couldn't move his star players into the right positions when needed? The goal is for the team to win, not for the players to play. "I want every school to have the very best principal possible," he says. That doesn't mean ineffective principals are being shuffled from one building to another, he says: a principal could be a bad match for one school and good for another. But Sandy Jordan, president of ASAR, disagrees with Vargas's assessment of the current labor agreement and his insistence on the need for more flexibility. "We serve at the superintendent's pleasure," Jordan says. "I think our contract is very flexible. He can move principals around to any position in the district." And in fact Vargas did move Ramirez from Monroe High School to All-City High. But when Vargas exercised that flexibility, it set off a community uproar. That's a familiar story. Vargas and ASAR haven't reached an agreement on a new contract. And Vargas made some other changes during the last year that haven't been popular. For instance, Vargas he says he is granting tenure to principals more cautiously than was customary in the past. And principals must provide teacher evaluations to him before the teachers will be awarded tenure. "I had teachers being recommended for tenure before they were even evaluated," Vargas says. And he's also been critical about such contract requirements as having to pay some administrators more to work on days when bad weather might be a safety concern for children, but isn't for adults. Those issues and others resulted in ASAR's no-confidence vote earlier this year, adding to a sense of instability the district was already wrestling with. Chronic instability – from state-mandated reforms to school closings – is one of the main drivers in the district's declining student enrollment, Vargas says. The district is losing students to charter and suburban schools, which Vargas calls the "worst threat to city schools." An additional problem: Vargas has lost several senior-level administrators over the last year. Vargas says he's been able to hire exceptionally qualified people to replace them, including one lured from a suburban Rochester district. But school-level administrators take much of their direction from central office administrators, and the number of changes in leadership at the top of the organization has some board members scratching their heads. And some principals say that the changes in leadership are adding more instability to a system that is already shaky. "Teachers have similar concerns," says Rochester Teachers Association President Adam Urbanski. Can Vargas build stability while pushing major changes through the district's culture and operations at the same time? This has been a real challenge for Vargas – and his predecessors. Vargas says he hasn't overwhelmed the organization with personnel changes. He promised the board that he would right-size the district, he says, and he's done that with as little disruption as possible. He says he's reduced the number of employees at every level mainly through attrition. "When I joined this district in 2011, 12 schools were being closed," he says. "I had to find places for all of those principals." Vargas says he's laid the foundation during the last two years to help bring about the academic turnaround that parents, board members, and community leaders want. Focusing on the basics – improving attendance, getting all students to read by third grade, and providing more instruction time – should lead to long-term improvements, he says. And for the first time since becoming superintendent, he's made projections about student achievement. For instance, he wants to see the district's third-grade reading proficiency, which is now only 5 percent, climb to 25 percent by the 2015-2016 school year. And he wants the graduation rate, now at about 48 percent, to reach 65 percent by the 2015-2016 school year. In the end, the stability that everyone in the district says they want will come about only with improvements in student achievement, Vargas says; one leads to the other. "I beg the adults in this organization to focus on the children, and not manufacture issues that are not there," Vargas says.